Entering into the entrance hallway you have access to the spacious annexe room, ideal for using as a large bed / sitting room or home office, there is also further access to utility room. 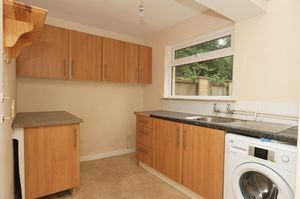 This level also has access to a paved low maintenance garden. 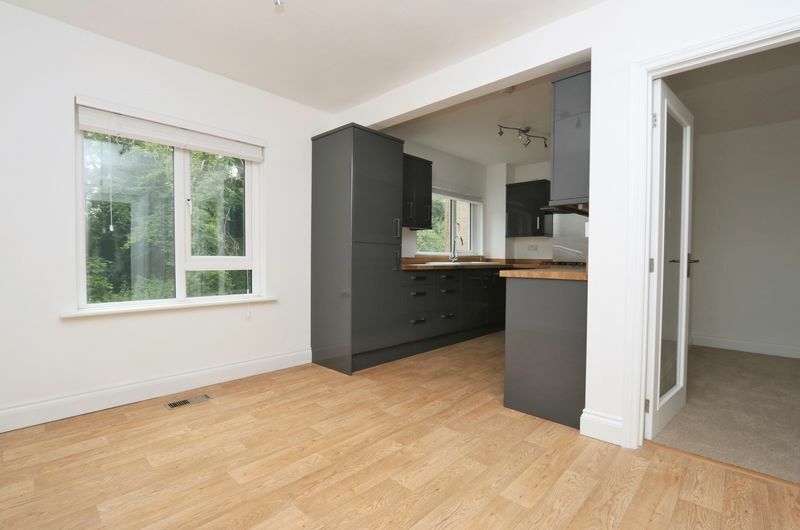 To the first floor you find an open modern, newly fitted kitchen/diner leading into a large lounge with a balcony providing lovely woodland views. 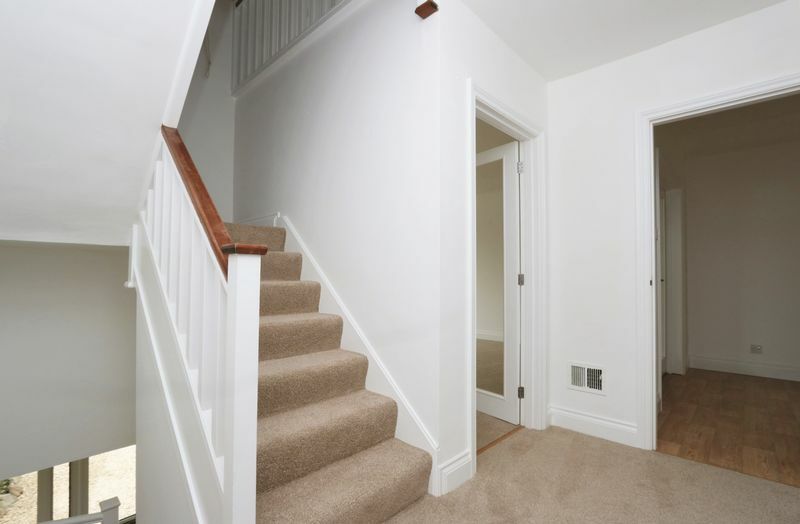 To the second floor two double bedrooms, a single room and a brand new modern bathroom. Externally a manageable paved garden which overlooks woodland. To the front of the property is a stone chipped driveway for two vehicles. 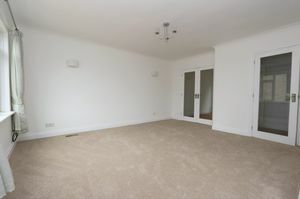 This property is situated at the end of a peaceful cul-de-sac just off of the highly desired Shaft Road. 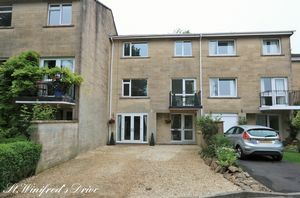 It is literally a stones throw from Monkton Combe Prep and Pre-Prep school and walking distance of Monkton Combe and Rainbow Woods, with it's popular dog walks, panoramic views of the city and the Bath Skyline Walk. 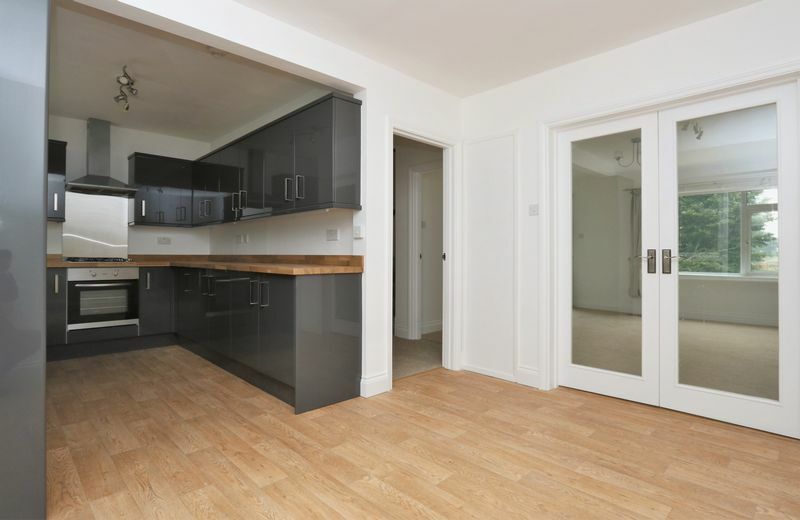 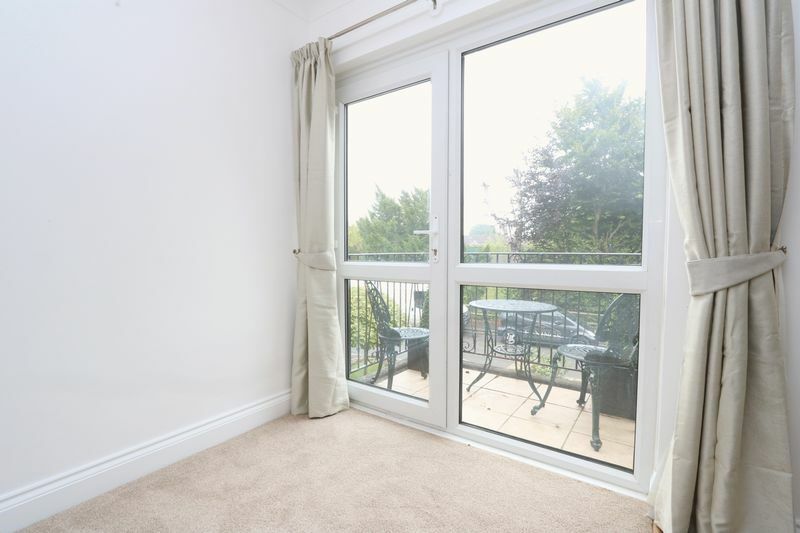 It has convenient access routes to all local amenities, including a regular bus route to the Bath University, city centre and beyond. 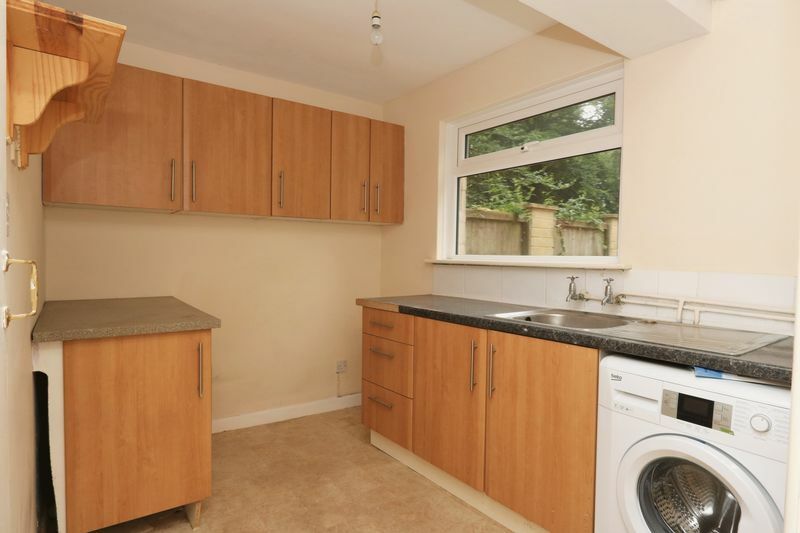 Locally Combe Down provides doctors, dentists, barbers, hairdressers, bakers, small supermarkets, St Andrews church and Holy Trinity church, with adjoining church rooms located in the Avenue. 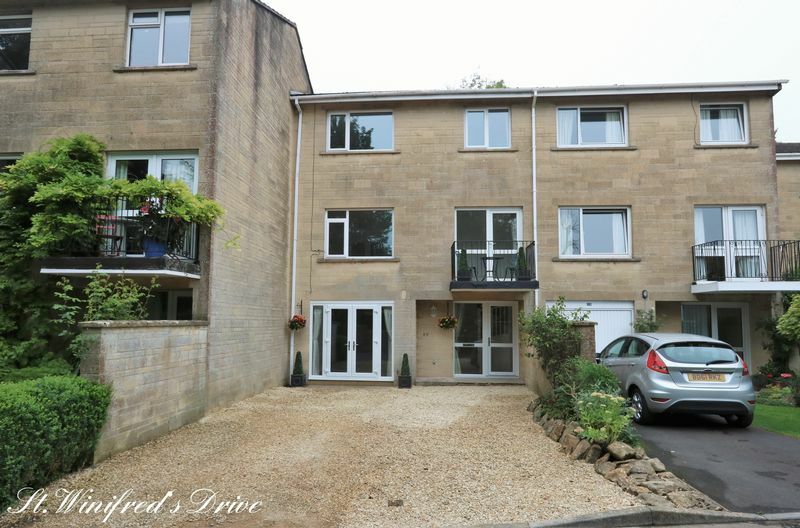 Combe Down also has an excellent school community with its nursery and primary school located in Church Road and a further pre-school nursery in Combe Road. 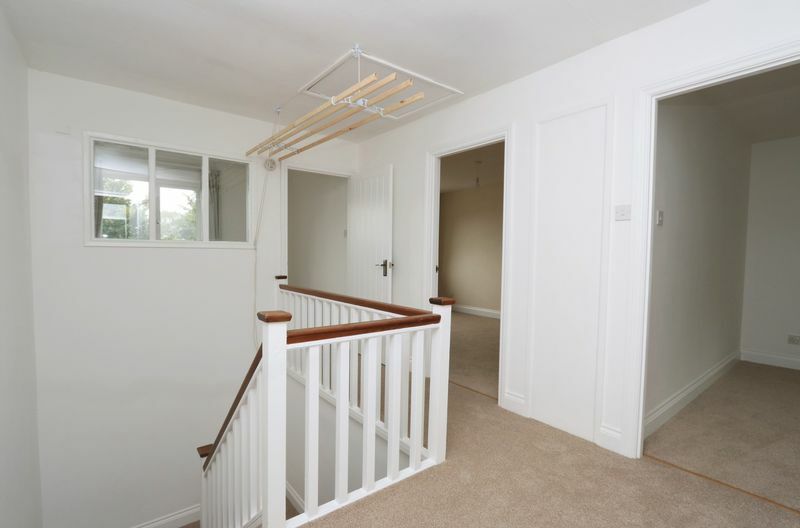 The village also accommodates two private schools with Monkton Combe and Prior park in close proximity and also has an excellent secondary school, Ralph Allen, which has recently been developed and extended to provide further facilities. 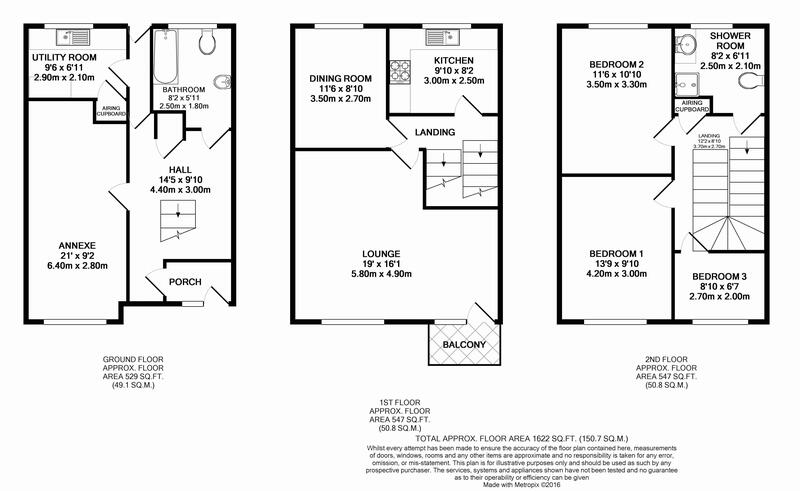 There are a number of public houses within walking distance and a variety of woodland walks on your doorstep. 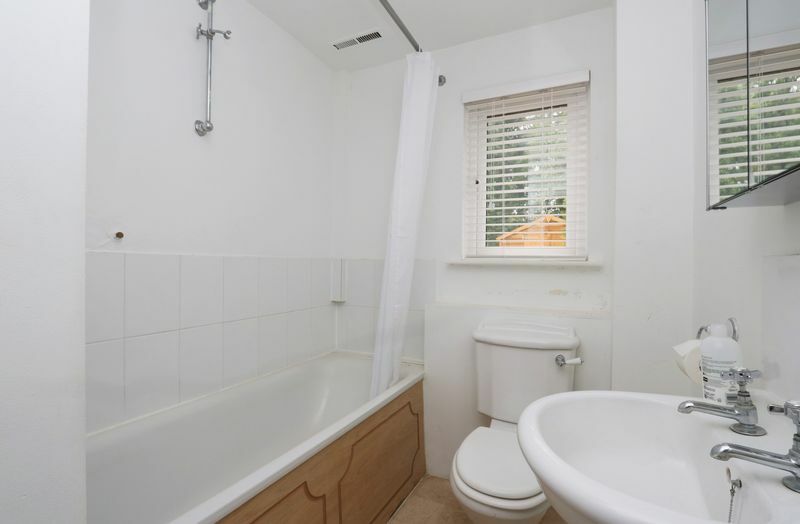 Bath city centre is a little over one mile walk away. 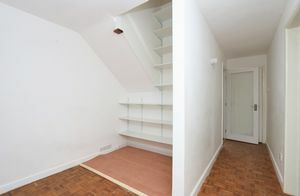 Glazed front door to front aspect with an adjoining glazed window, under-stairs cupboard, parquet flooring throughout. Door leading form porch through to entrance hall, parquet flooring throughout, useful storage cupboard for hanging coats, large under stairs storage cupboard, door to self contained annexe, door to kitchen/ utility area, access to back garden, further large storage cupboard, door to family bathroom, stairs to first floor. 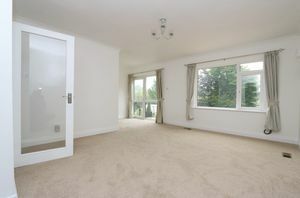 With lighting and electricity points, double glazed double french doors to front aspect. 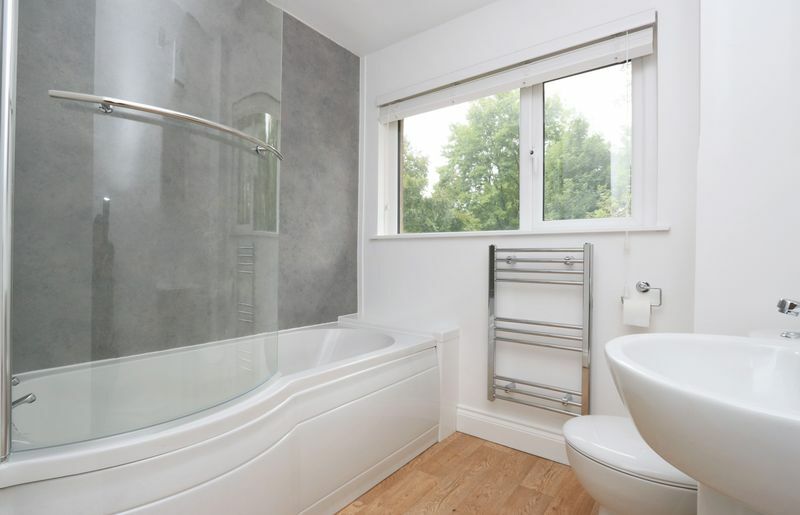 With a range of wall and base units, sink with drainer, cupboard housing the hot air heating system,double glazed window to rear aspect, Beko free standing washing machine, electrical points. Double glazed window to rear aspect, white bathroom suite comprising low level WC, wash hand basin and bath with overhead shower, tiled and concrete flooring, tiling to wet areas. 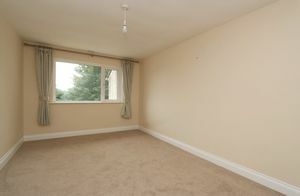 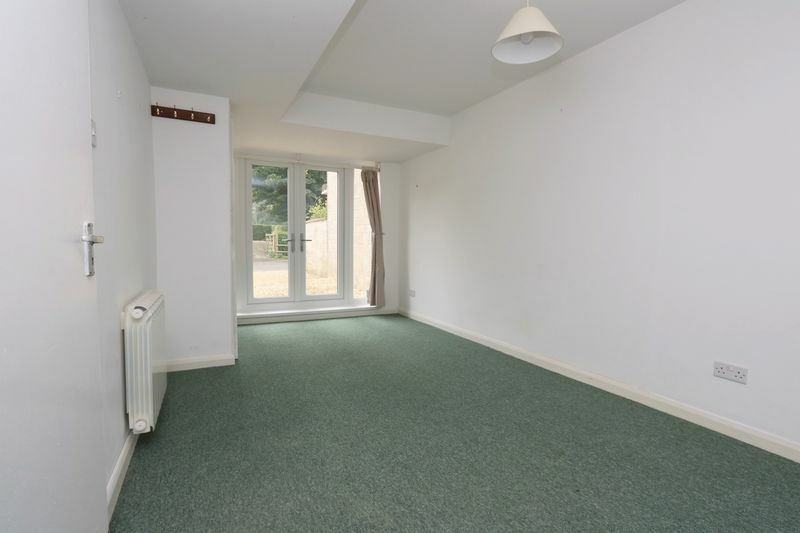 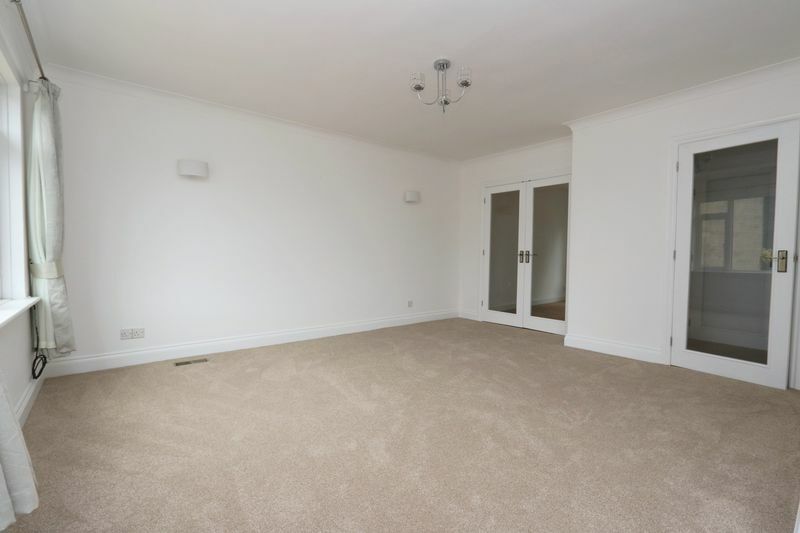 Newly fitted beige carpet, door to kitchen/diner, lounge and stairs to second floor. With a range of new modern fitted floor and base units, wooden worktops with integrated ceramic Belfast sink with drainer, Gas cooker and hob with extractor and hood over, spot lights, new integrated fridge/freezer, new integrated dishwasher, laminate flooring. 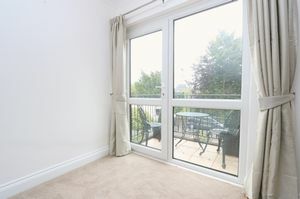 Double glazed patio doors to breakfast balcony with double glazed windows to front aspect, stripped wooden flooring, television point, telephone point. 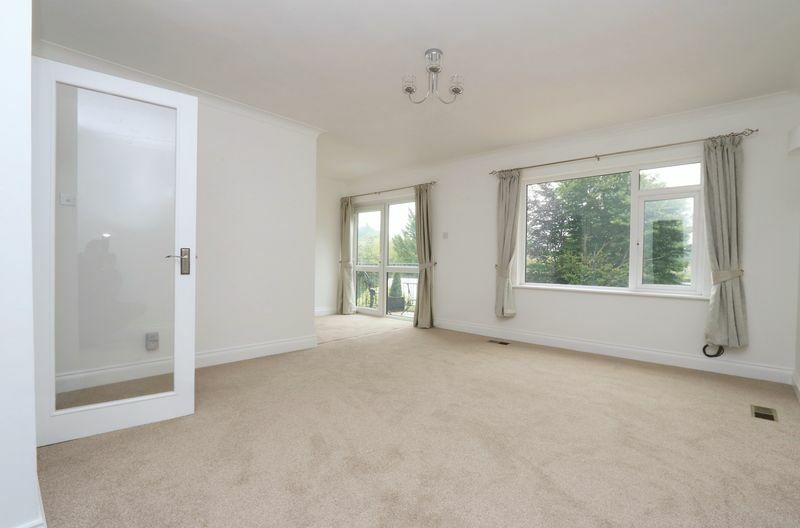 Glazed double french doors opening from kitchen/diner, large double glazed window to the front aspect, single glazed door opening onto patio, Ariel/TV point, BT Open Reach box, newly fitted carpet. 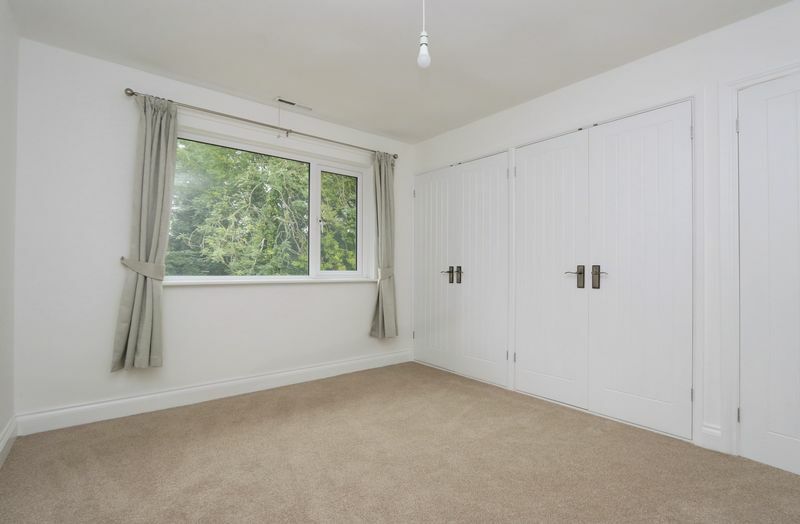 Double glazed window to front aspect, Stripped wooden floorboards. Double glazed window to rear aspect with large built in cupboards, newly fitted beige carpet. 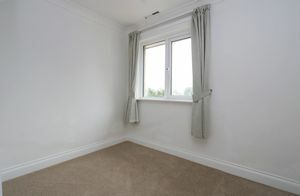 Double glazed window to front aspect, newly fitted beige carpets. 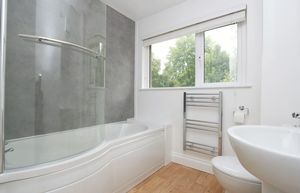 Double glazed window to rear aspect, white suite comprising low level WC, brand new ceramic sink with mixer tap, spot lights, vanity unit, heated towel rail, over the bath shower with clear plastic door, extractor fan, laminate floor. 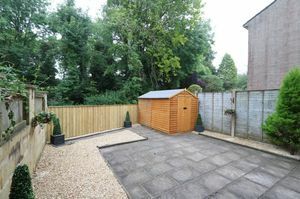 Gravel and paved driveway with parking for two cars. 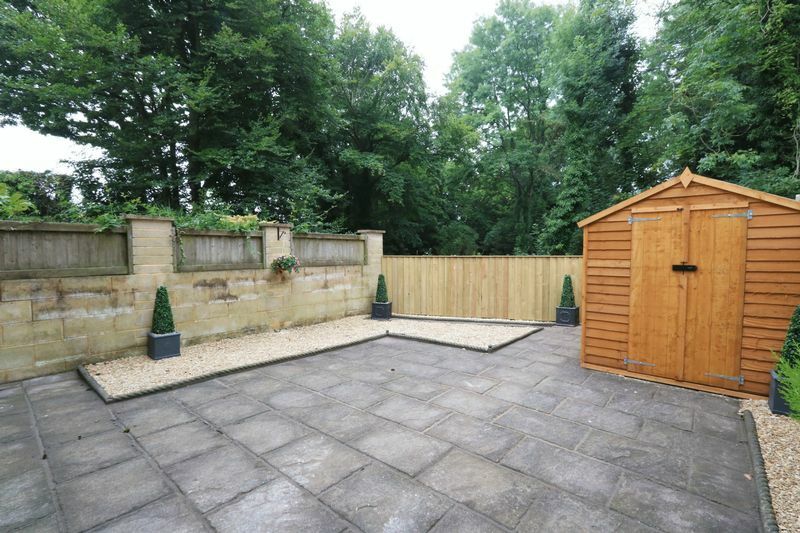 Part paved, with shingle borders, large shed, backing onto open woodland. 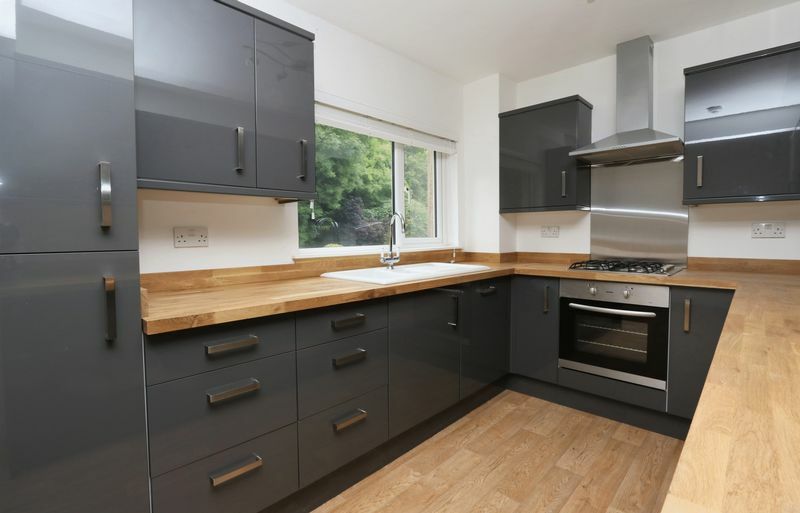 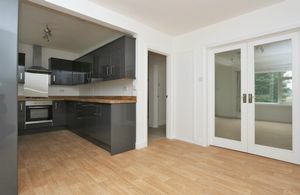 **NO ADMINISTRATION OR REFERENCE FEES**One months advance rental payment of £1675 and a deposit of £2320 (equivalent of 6 weeks rent) will also be required prior to a tenancy start date.The deposit will be secured with the Deposit Protection Service. Sorry - No Students or Sharers, housing benefit or smokers.